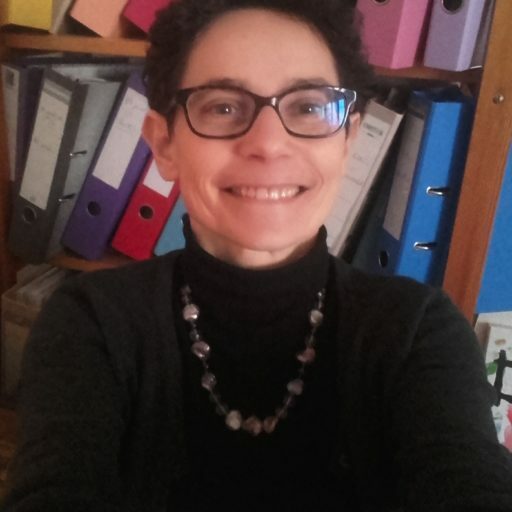 Catherine Haguenau-Moizard is professor of European and Comparative Law at the University of Strasbourg. Her research fields include the Area of Freedom, Security and Justice of the European Union, the protection of Fundamental Rights and many aspects of Comparative law. Is the Crime in the Eye of the Beholder? As many others in the European Union, the French government attempts to tackle the so-called “migrants crisis”. The Home Secretary has published a bill in February 2018. It aims at reducing the length of asylum proceedings and fighting against irregular migration, as many former Acts of Parliament. Its official title is a model of understatement: “bill for a controlled migration, an effective right of asylum and a successful integration”. Despite disagreements between the two chambers, the National Assembly has adopted the last version of the bill on August 1st. The Senate demanded stricter rules. When no compromise can be found, the National Assembly has the “last word”. Left wing Members of Parliament have brought an action before the Constitutional Council. The bill may not be enacted before the Council has given its decision, at the beginning of September. The text will no longer change, unless some provisions are deemed unconstitutional. There have been numerous reforms of Asylum and Immigration law in the past twenty years. Ten Acts of Parliament have been adopted between 1996 and 2012. The present bill is the fourth legislative reform since 2015. Each Home Secretary wants to show that he has a strong policy in order to protect the territory. The bill has been much criticized, not only by NGOs but also by institutions. The Council of State, which gives – usually moderate – opinions on every government bills, has suggested, to no avail, that it would be better to apply and assess the previous Acts before adopting yet another one (opinion n° 394.206, 2.15.2018). The Defender of Rights has explained that France went along a “circle of irrationality” as regards immigration and asylum and that the bill “treats asylum seekers badly” (Le Monde, 2.22.2018). The bill is divided in three parts: asylum, irregular migration and regular migration. The text is fairly long (41 sections) and technical. We will not dwell on the provisions on regular migration, which mostly aim at attracting “talented people”. On asylum, a few improvements have been made. It will no longer be required to apply for children separately when they come with their parents. Residence permits for a maximum of 4 years (instead of 1) will be awarded in some situations. But the main aim of the bill is to limit the number of asylum seekers. Another Act adopted in March 2018 already makes it easier for the authorities to detain refugees. The government and its majority have repeated that there were too many asylum seekers in France because of secondary movements (people seeking asylum in France after having failed in another State). The number of people who should be sent back to another Member State is said to have doubled between 2015 and 2016. Accordingly, the bill intends to speed up asylum proceedings. Asylum seekers entering illegally in France will have 90 days instead of 120 to apply for asylum, otherwise the accelerated procedure – with reduced rights – will apply. The authorities tend to forget that the refugees have to wait for around 20 days in the mainland and 35 days overseas before their can even register. According to directive 2013/32, they should not have to wait for more than 3 days. Many governments have failed to speed up proceedings by enacting new rules. We only need more agents registering asylum seekers. The rights before the Asylum Tribunal (Cour nationale du droit d’asile) will also be reduced. As an example, many appellants will no longer have the right to stay in France before the Tribunal’s decision. On irregular migration, the bill follows the line expressed by president Macron in his Orléans speech in July 2017: “We should be strict, sometimes tough” with those who come for economic reasons without permission. The Home secretary intends to send 40,000 more people back every year. It seems legally and technically impossible. Since 2011, foreigners, including children, may be detained for 45 days in special centers so that they may be sent back to their country. The government wanted to extend the duration up to 90 days. The normal duration remains 45 days, but it could be extended to up to 90 in some cases. The legality of the detention order may be challenged before a judge. Many orders are quashed (40% in 2017) and governments have tried for years to limit the courts' powers. The bill delays the decision of the judge so that the administration can send the person back beforehand. This is not consistent with the right to an effective remedy under article 13 of the ECHR. France has been condemned in 2012 in the De Souza Ribeiro case because a foreign national had been expelled before he could lodge an appeal. The Constitutional council has judged on June 1st that the 48 hours’ time limit for foreigners in jail was contrary to the constitutional right of appeal. The bill does not take this decision into account. From a practical point of view the number of people sent back does not change much, though the rules on detention have been strengthened since 1996. Around 46 000 people have been detained in 2017, approximately 4 times more than in Germany. Less than 40% have been sent back. 80% of those sent back are sent back within 25 days. This shows that extending the duration of the detention does not help. Foreign nationals will remain longer in detention. They will be released after a longer period of time. Other provisions tend to reduce the rights of those who want to stay in France in order to get a medical treatment. The administration will no longer be compelled to follow the advice of doctors who are supposed to be too compliant. The so-called “solidarity offense” is not abolished. Any person who helps someone to enter or stay irregularly in France may be prosecuted. Since 2014, an increasing number of individuals around the Italian border or near Calais have been prosecuted, though the offense had been created against criminal networks. The Constitutional Council has decided on July 6th that the principle of fraternity had constitutional value and that helping for humanitarian reasons should not be considered as an offence. The bill provides that those who have “exclusively a humanitarian aim” should not be punished. There may be differences among prosecutors and prosecution will still be possible. This bill confirms that the far right Front National has managed to set the agenda. The main political parties have taken up their obsession against foreigners because they fear to lose votes and think “public opinion” demands a strong line against migration. They should focus on the ways and means to set up a global immigration and asylum policy without forgetting fundamental rights. SUGGESTED CITATION Haguenau-Moizard, Catherine: The 2018 French Asylum and Immigration Act, VerfBlog, 2018/8/17, https://verfassungsblog.de/the-2018-french-asylum-and-immigration-act/, DOI: https://doi.org/10.17176/20180817-175721-0.